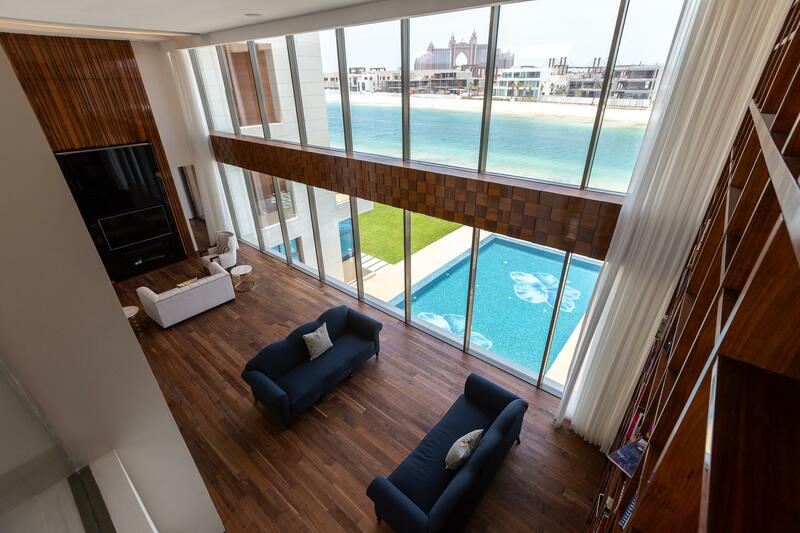 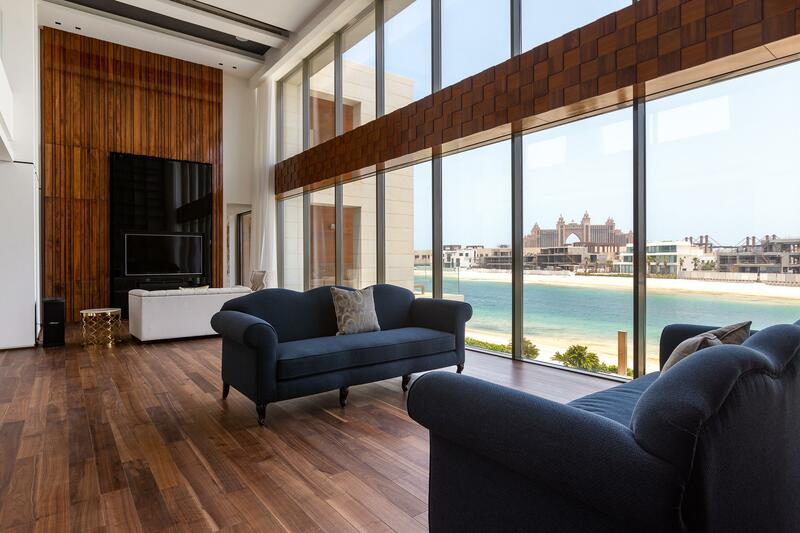 Gulf Sotheby’s International Realty is pleased to offer you this Exclusive brand new custom made signature villa on Palm Jumeirah. 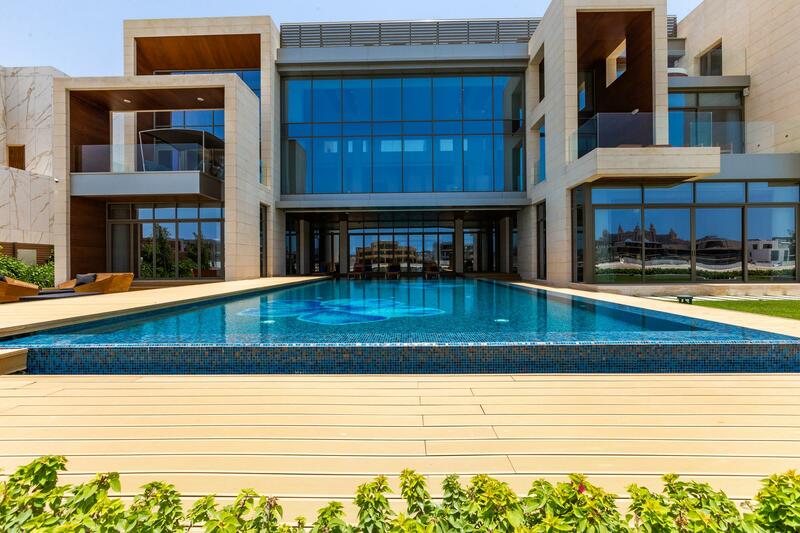 This 5 en-suite bedrooms villa covers a plot of 15,662 sq.ft and is build up on 12787.5 sq.ft. 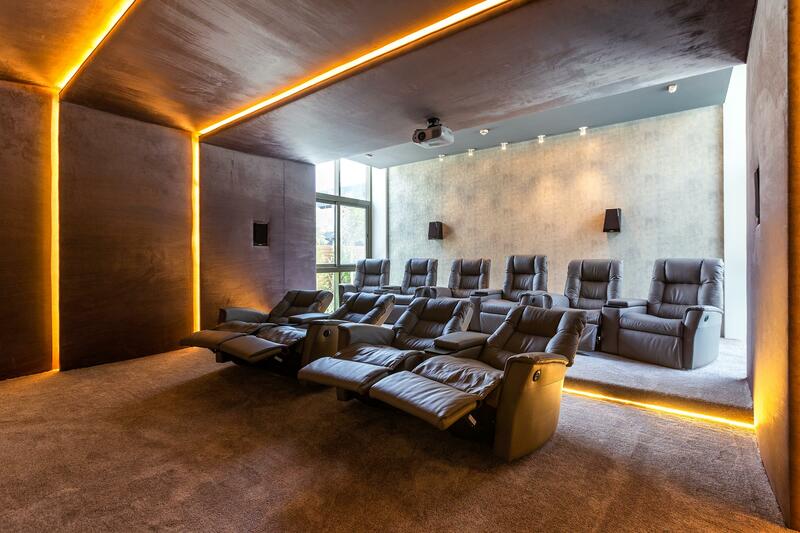 The ground floor offers a main living room and dining along with cinema and saloon. 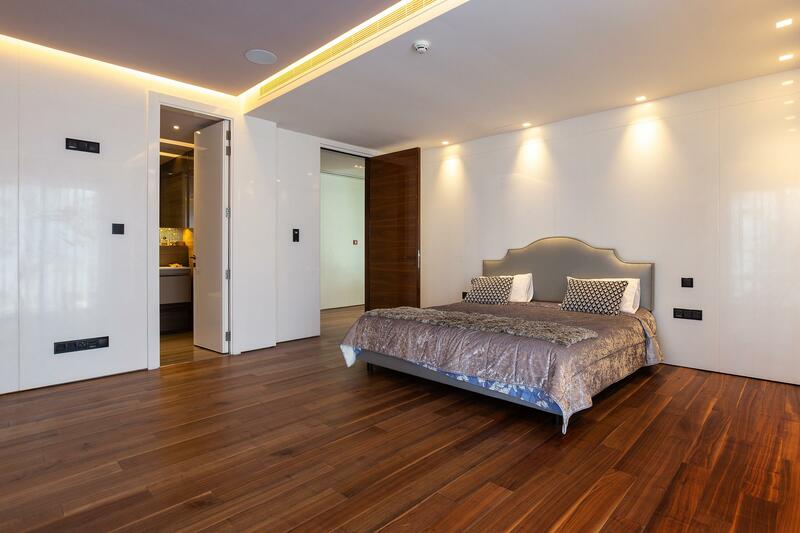 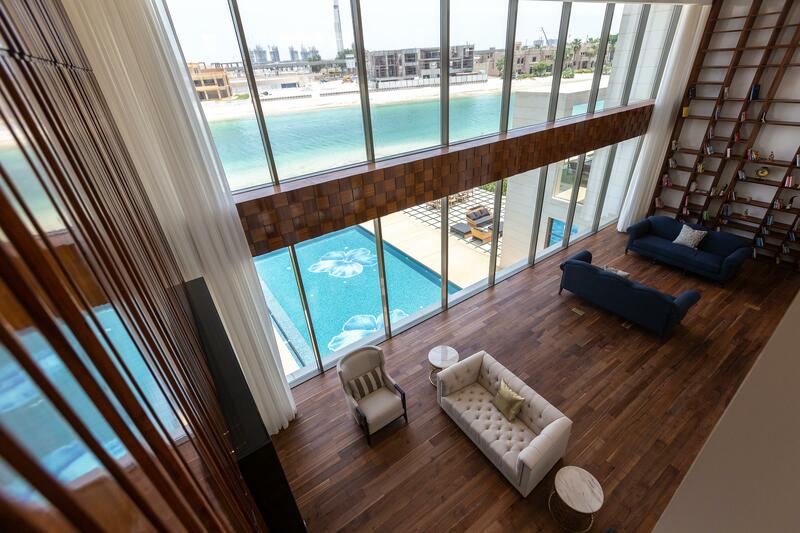 The second floor consists of 3 en-suite bedrooms each with a living room. 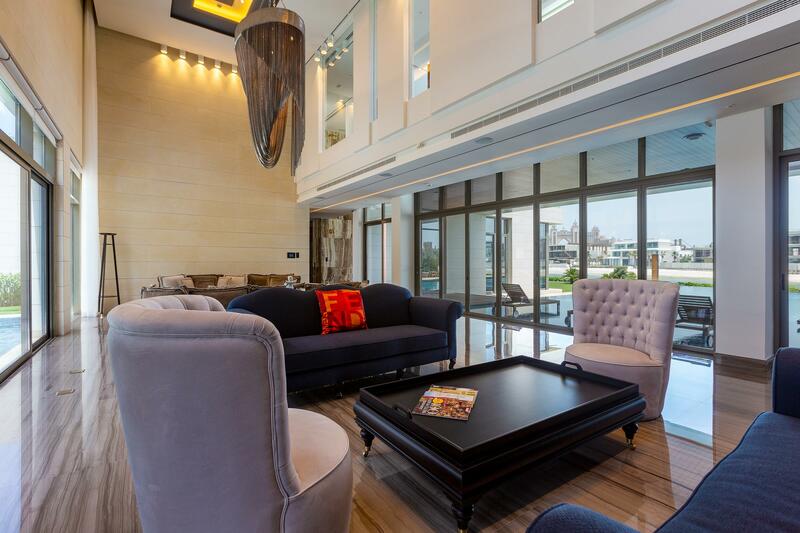 Also a casual saloon and an office with a balcony. 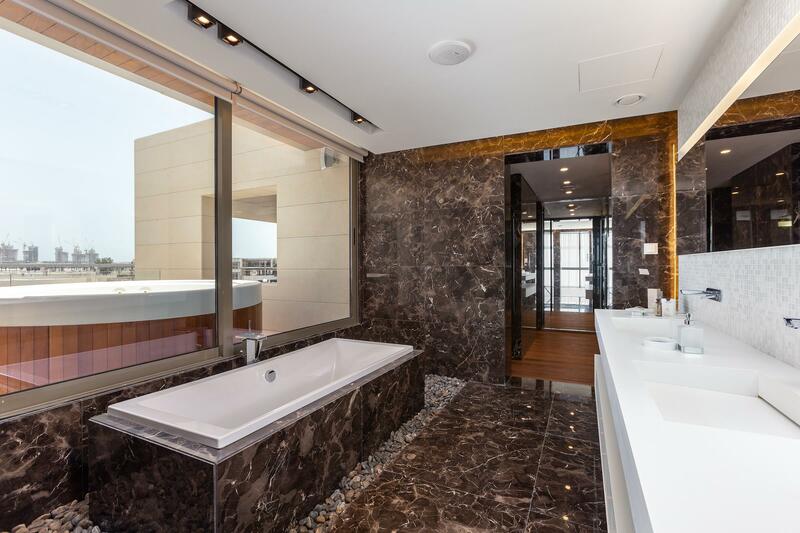 The third floor has a master en-suite bedroom with its own Jacuzzi and balcony and a master changing room with balcony. 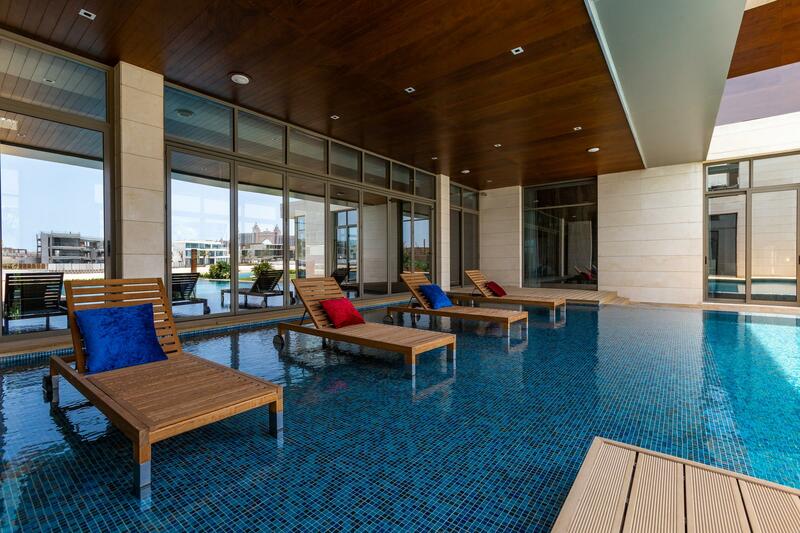 Lap swimming pool and gym together with its balcony for the outdoor gym and one main terrace. 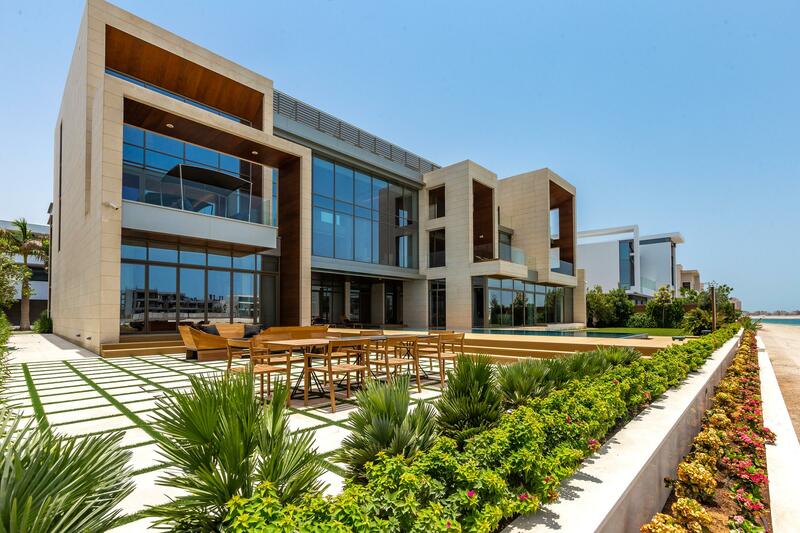 All the high-end interior finishing is Italian made and branded speakers in and outdoor spaces of the villa. 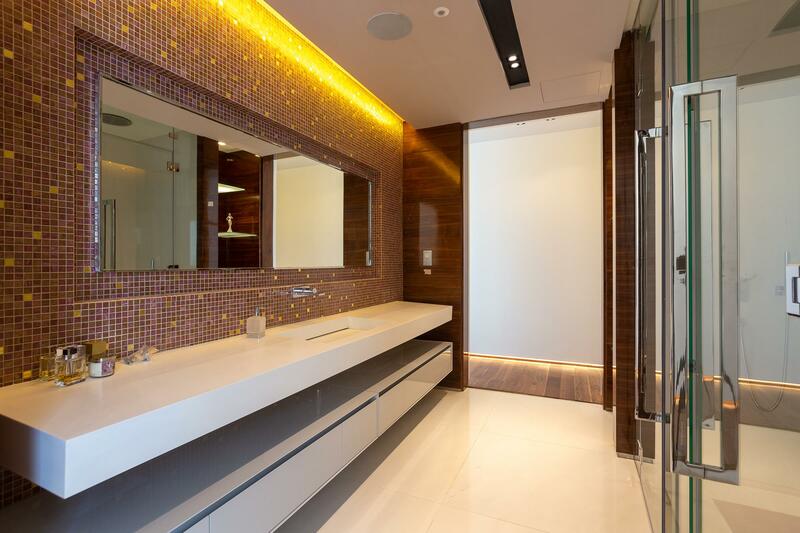 German made electronics controls can be done by phone. 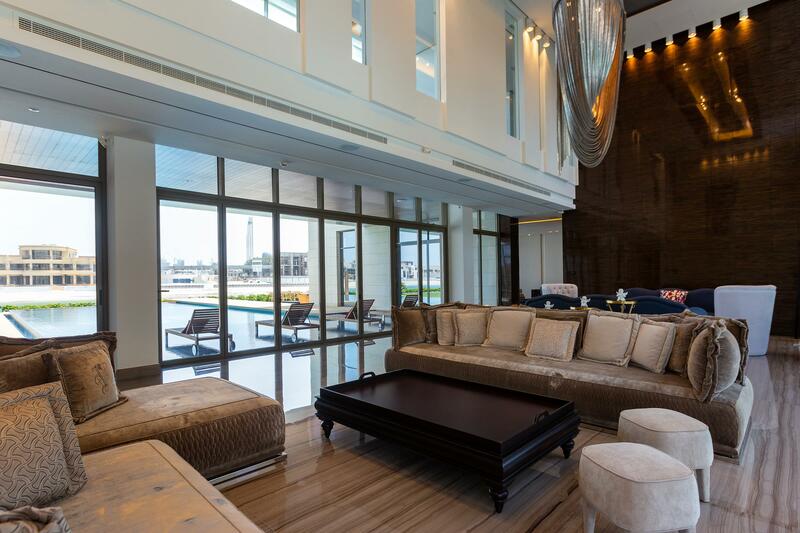 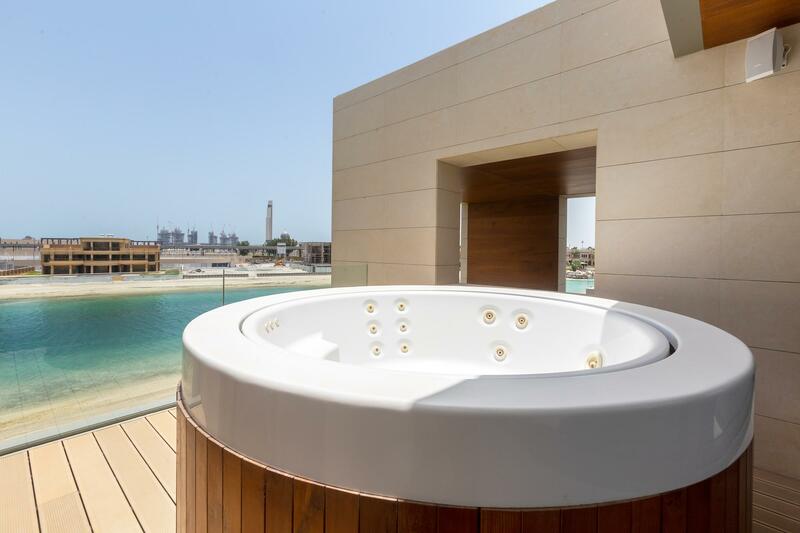 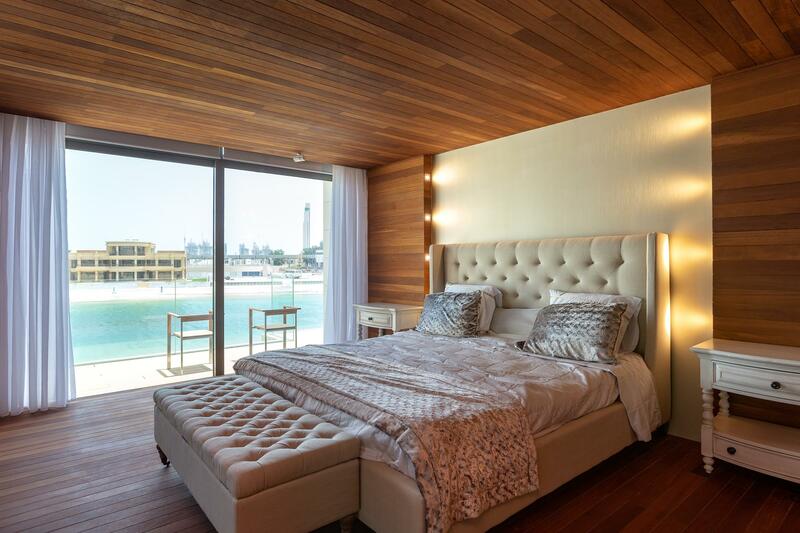 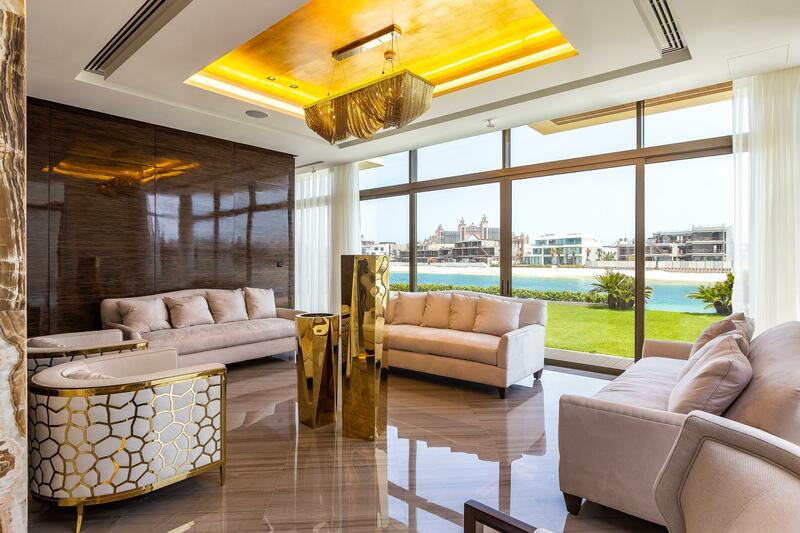 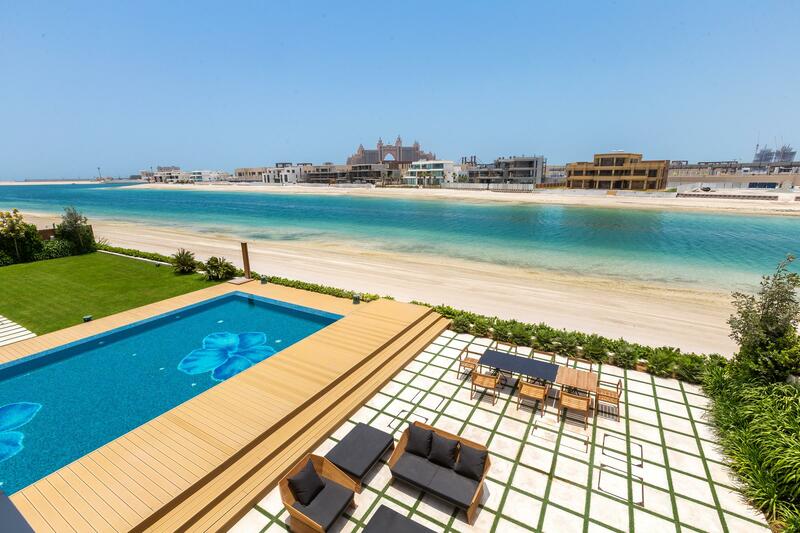 Residents of the Palm Jumeirah can enjoy the luxury of world class facilities.